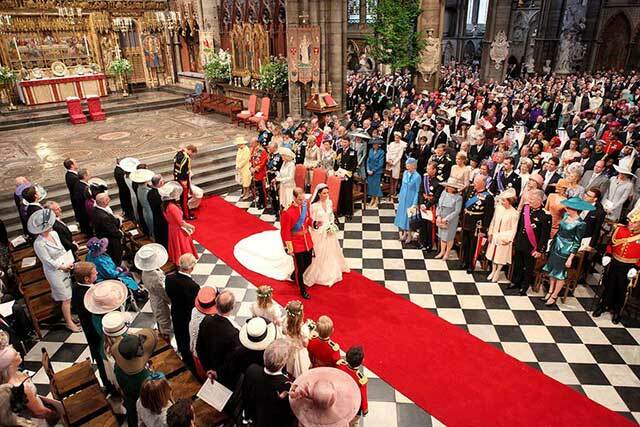 Former royal editor Duncan Larcombe witnessed the dos and don'ts of a royal nuptials when he attended Prince William and Kate Middleton's wedding in 2011. "This wedding is going to feel very very different from William and Kate's," he said. "I think Harry and Meghan will stamp their trademark all over their wedding and we might be surprised at how 'unroyal' it really is. Harry is the 'people’s prince' rather than the future king." However, guests will still need to be aware of the appropriate decorum before setting foot inside St. George's Chapel on May 19, 2018. Here are some of the rules they will be expected to follow. Cellphones are allowed, but they must be turned off. This applies for the evening reception, too. "Guests will be told not to take pictures at any of the day, particularly during the evening reception at Frogmore House," Larcome added. "No pictures ever emerged from William and Kate’s party—anyone who broke this rule would certainly end up in hot water with the happy couple." Social media is a no-no, at least until the Queen arrives. "We were all posting stuff at William and Kate’s wedding—but then we were journalists," Larcome explained. "I think people will be tweeting but will run the risk of getting dirty looks if they do. A royal wedding is the only time that the Queen isn't the last person to walk into a room—she has to wait for a bride. Once the Queen is there, guests will be on their best behavior. Things like tweeting will be an absolute no-no. It's likely to be quite laid back before she gets there." It's normal for guests to arrive hours early. As protocol dictates that the Queen is always the last person to arrive at the ceremony before the bridal party, attendees often arrive way ahead of schedule. "Guests arrived two hours before the ceremony started," Larcombe recalled of William and Kate's Westminster Abbey nuptials. "We were early, but we weren't the first." 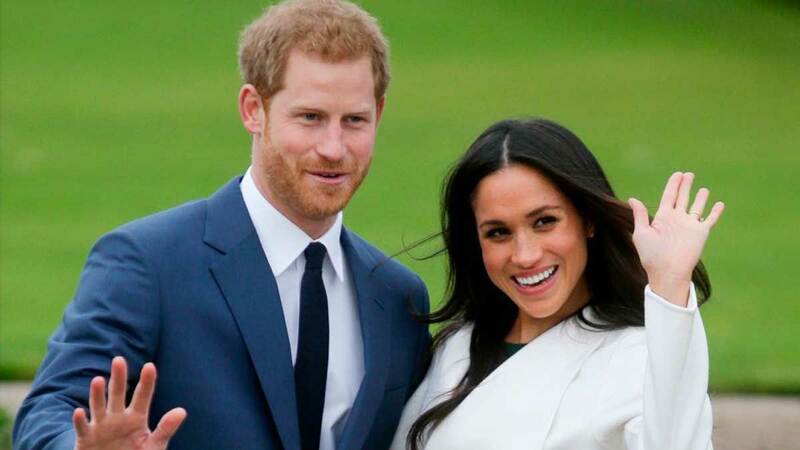 For Harry and Meghan's big day, things might be a little more relaxed. 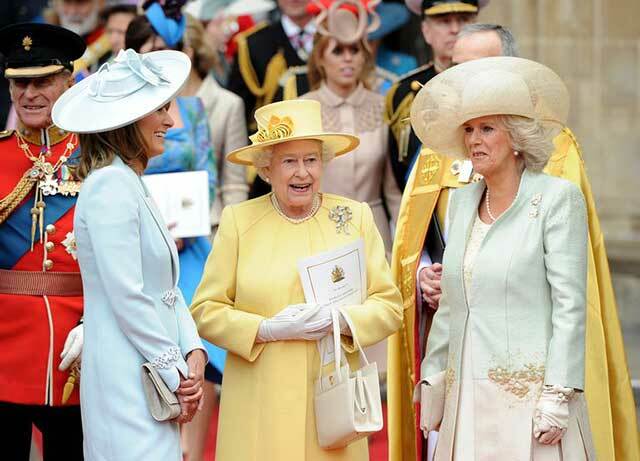 Guests are expected to arrive an hour before the midday ceremony, well before the Queen makes her entrance. "You don't want to turn up after her. 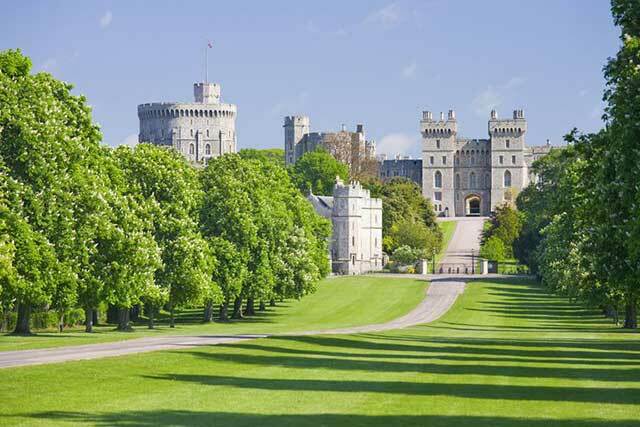 She will get there five minutes before Meghan will arrive." There's a strict seating plan inside the chapel. Arriving at the chapel early doesn't mean bagging a better seat. "The seats are all allocated," Larcombe confirmed. "They are numbered to match the number given on the invitation." The church tradition of the bride's family sitting on the left and the groom's on the right applies, too. "The entire royal family will be seated to the right-hand side of Harry and Meghan. Meghan's parents, co-stars, and friends will be given priority seating on the left. In a way, they will be trying to make it as normal a wedding as possible. So, when they look around they will both see their families." The Queen should never be approached. But she should be acknowledged. When it comes to recognizing the Queen, there's a precise form to follow. 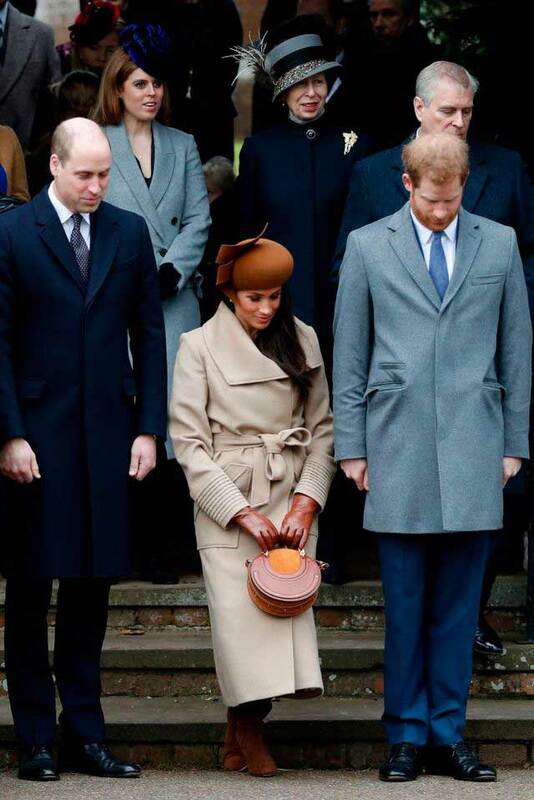 "Gentleman are supposed to bow, ladies curtsy—guests would need to practice that—but only if the Queen has caught your eye," Larcombe noted. Ladies are expected to make a brief bend at the knee with the weight on the front foot, while men should give a small nod. Although it's normal to accept a handshake from the Queen, any other form of touching is discouraged. Headgear is a must for a royal wedding and they should always be kept on inside the church. "Like any wedding, there's a normal fashion etiquette to follow," said Larcombe. "People aren't supposed to wear white and ladies will have to wear hats." The style of hat is important, too. Overly elaborate or tall styles that could block the view of fellow guests are likely to be frowned upon.